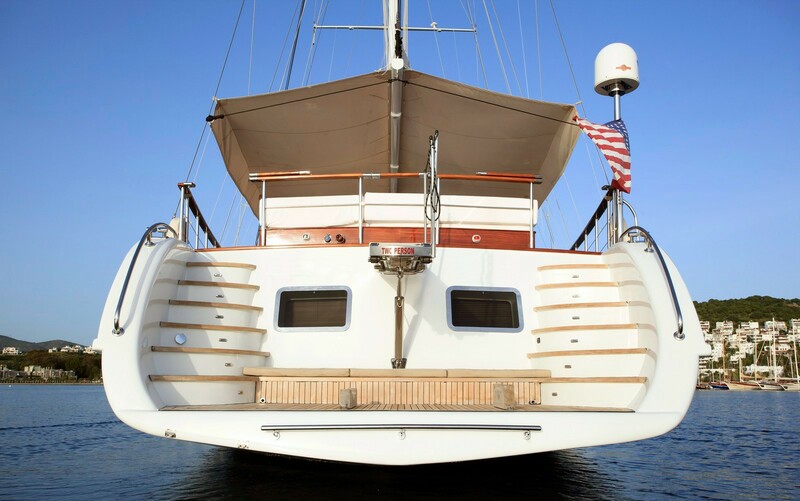 preused or preowned wooden Gulets for sale such as traditional Gulets, or grp boats. we prescreen every yacht when offered to us for sale in order to protect our clients to make sure the yachts are valued as the asking price otherwise we drop them off from our sales portfolio. 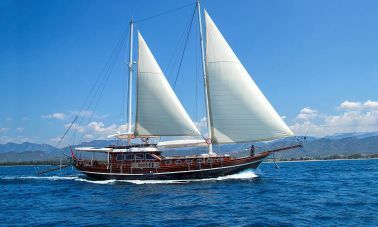 We have served many satisfied customers either buying or selling with us, Our organization has sold many classic Turkish built wooden gulets, motor sailors to Italy, France, Spain, Dubai and Thailand. 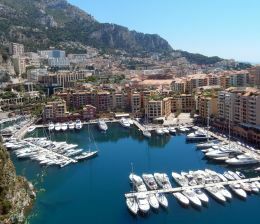 Akasia yachting also provides Yacht delivery services with experienced crew when yachts are sold overseas. 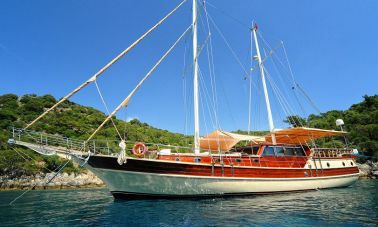 Gulet For Sale If you are considering a traditional standard or luxury gulet which is most probably built by wooden planking system or cold moulded epoxy laminated system, one has to know which materials has been used for her construction. 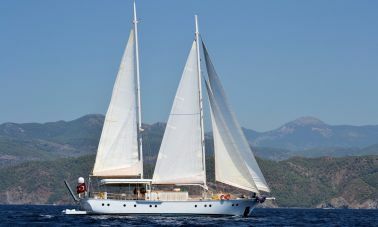 we would like to share our experiences with anyone who is interested, since we have started from the very beginning as seaman later captain and yacht builder and we have helped new gulet buyers and first time builders with years of accumulated experiences. 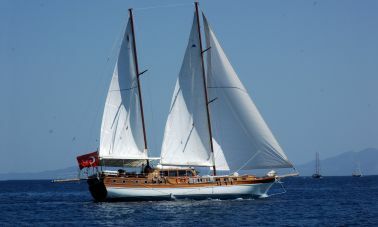 It is very important the kind of wood used in construction for the gulet you are interested, as well as the age is also an important issue, the engine, propeller, shaft and their installations are very important, the hydraulic systems, electric installations, masts, stainless steel rigging wires, winches, sails and ropes, everything has to be studied, expensive material and craftmanship makes a difference but who built her and what kind of hull is much more important issue than her interior design and furnitures. 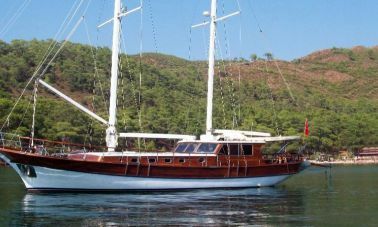 You need to make sure that she is the one which may fulfill your dreams and the gulet you are buying will respond to your expectations. so please donot hesitate to contact us before buying Gulets for sale so that you donot commit an error of buying something which is not convenient for you. 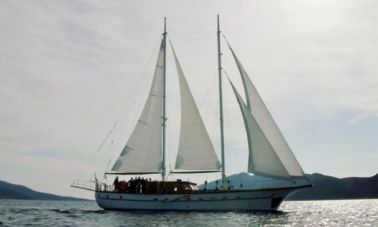 Steel hull and ketch rigged gulets are stronger and have an advantageous maintanence cost compared to wooden gulets, However classic gulets built with epoxy laminated wooden hull is much more nostalgic and warmer. 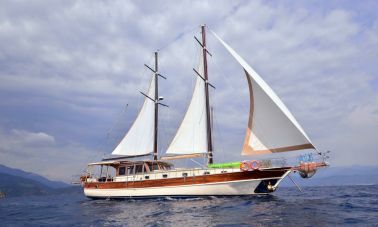 the personality and cosy charm of a wooden gulet cannot be expected in a steel gulet however the seaworthiness and ease of repair of steel gulets are superior to wooden boats. furthermore steel gulets are more spacious than a same size wooden gulet due less space lost during construction. 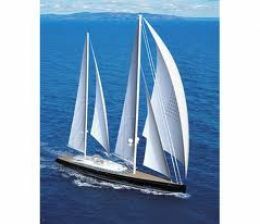 nevertheless the price and the design of a desired yacht is the main issue when it comes to make a final desicion. 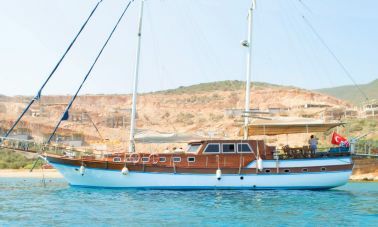 Istanbul built gulets for sale and ketch rigged yachts have always been distinctive from the rest of the southern built gulets with their design and quality craftmanship. which is obvious to anyone who understand interior design and modern aestethics. 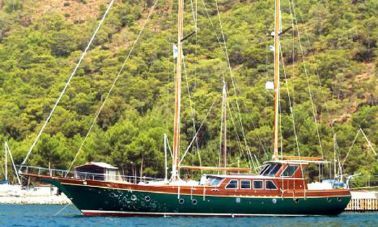 The leading gulet design and modern construction imposed by Istanbul boatyards has been appreciated and even surpassed by Bodrum gulet builders. 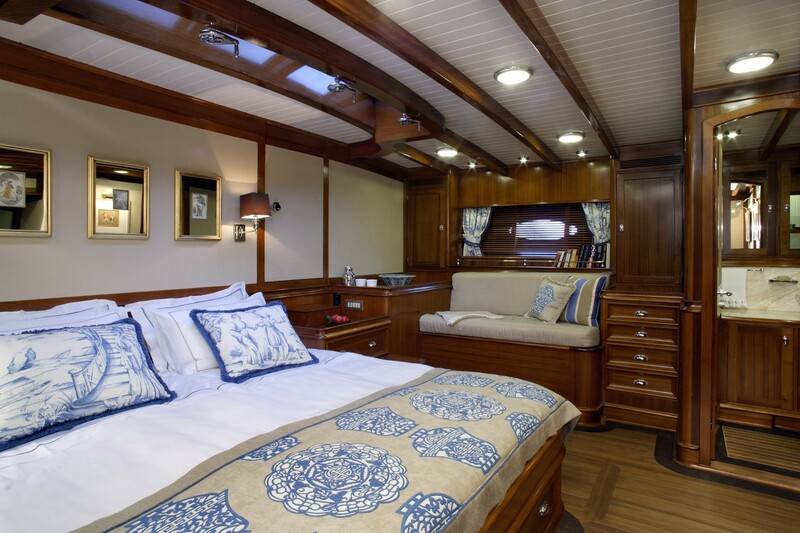 the steel hull construction has lately became very popular due its durability, strength and ease of maintanence has made steel hull yachts preferred by many enthusiasts. 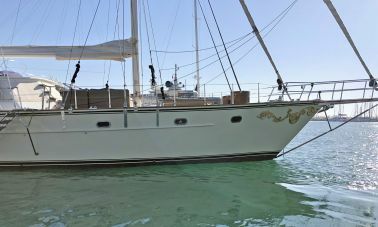 as an important alternative to classic carver planking built gulets with boatyards having more orders from abroad mostly asking for steel hull yachts. lately Istanbul boatyards are working with very successfull designers and ship building engineers to create world class and very high quality luxury yachts. 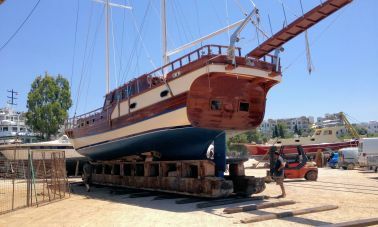 Marmaris boatyards has been booming since 2002 with gulet construction which are the favorite ones of Croatian yacht charter agencies and also russian clients who are seeking luxury gulets for sale. 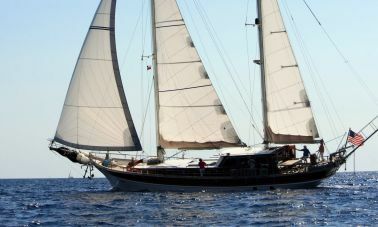 since the croatian buyers prefer the classic wooden gulets and bought numerous marmaris gulets with quite competitive prices, the marmaris boatyards then commenced building more sophisticated and luxury yachts of new generation that marmaris still happens to be leading with gulet exportation to neighbouring mediterranean countries, egypt , seychelles and also to Thailand. 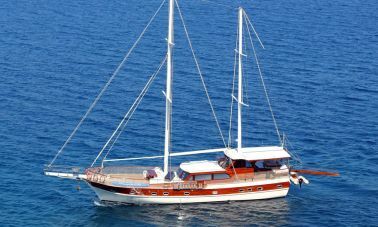 We have included several Fethiye built quality gulets in our sales portfolio , the flat deck fethiye gulets are much more spacious and are built with epoxy laminated wooden (west system epoxy) that can be build up to 10 cabins which are mostly preferred by cabin charter agencies. 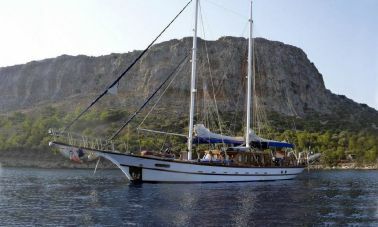 Fethiye built gulets for sale can be upto 45 meters in length and they offer much more fresh water capacity and provision storage space in order to carry out longer yacht charter holidays in Turkish coastal waters and greek islands. 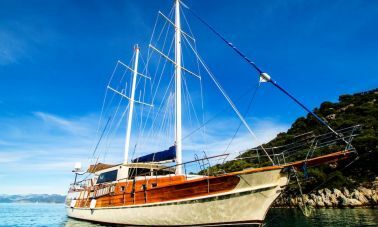 meanwhile these luxury gulets are being built with twin screw and twin generators not to mention fully air conditioned confortable cabins and state of the art luxury accomodations.